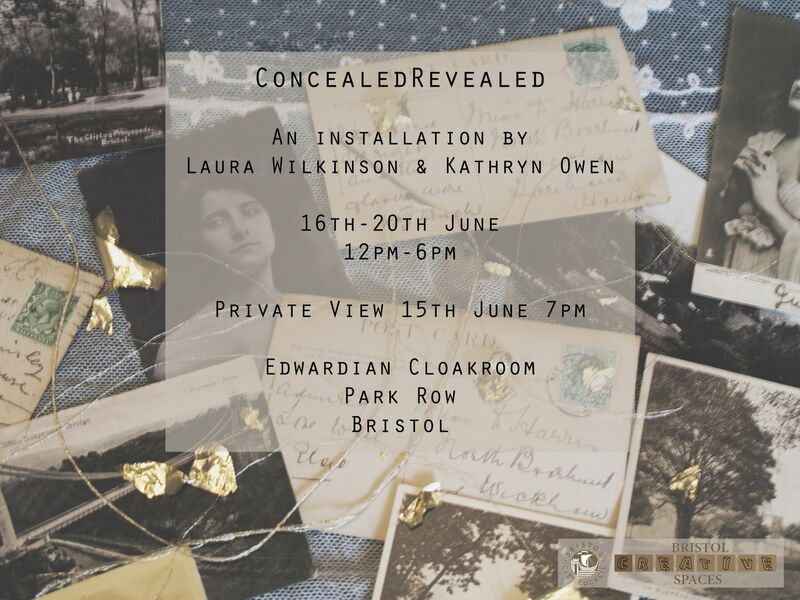 ConcealedRevealed is a collaborative installation by artists Kathryn Owen and Laura Wilkinson, which brings together Laura’s interest in social history and Kathryn’s minimalistic style. Drawing on themes of concealment and revealment, the installation becomes a place of reflection and curiosity echoing the Edwardian past, bringing this into the present day. Through the use of found objects, imagery, embellishment and sound, the space acts as a place where the intangible becomes tangible. The cloakroom is a space of concealment, which could provide a means or place of hiding. Revealing details from the past unites two contrasting concepts, by giving small glimpses into hidden corners.